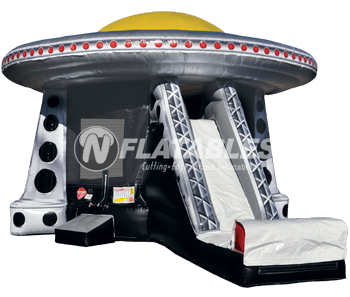 We've taken our UFO Combo and made it even better. This combo now features a slide that can be used with or without water! 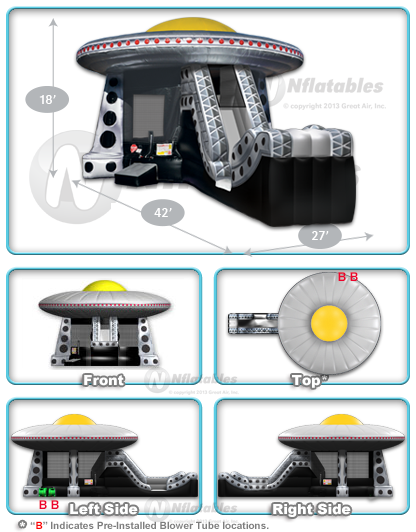 In addition, it features a large bouncing area, high visibility FingerSafe™ mesh netting, a climbing wall and a tall slide. There are also loops around the outside perimiter of the saucer that allow for sliding in optional LED rope lighting (not included). UFO Combo™ (Wet/Dry) from N-Flatables.